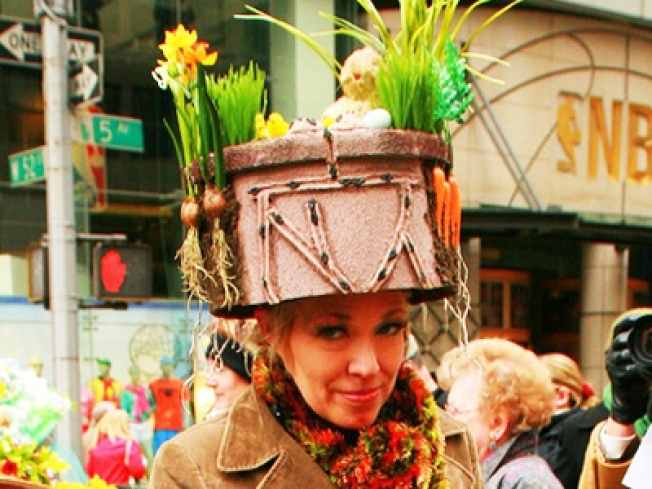 Fancy bonnets take to the streets at Sunday's Easter Parade. BABY YOU CAN BUY MY CAR: Gawk at dozens of fantastically modern, uber-green, high-concept automobiles at the 2009 New York International Auto Show, going on at the Jacob Javits Center. Then take the subway home. All weekend, schedule varies. GYPPED: We'll just quote the organizers here: "High-energy Balkan funk!" "The Coltrane of the Clarinet -- from Turkey!" The NY Gypsy Festival's 5th Anniversary Season Kick-Off Party is a marathon six-hour extravaganza of live music, performance, palm reading, you name it. If it's gypsy. Saturday, (Le) Poisson Rouge, 10PM. DEALER'S CHOICE: The news that Lower East Side vintage-garb and house-line staple Sweet Tater is closing is very sad. But the deals you'll score as they clear out their coffers ($5! $10!) almost make up for it. All weekend. PUNK'D: Buy some indie tracts and hand-printed zines at this weekend's 3rd Annual Anarchist Book Fair, and stick it to the man, man. Judson Memorial, Saturday, 11AM-8PM.